Last edited by USER_NAME_01; 02-05-2019 at 07:34 PM. Monster db is down for now. There's an issue with stats display, so instead of showing incorrect data, it won't anything at all. Hopefully I'll find some time tomorrow to look into the issue. This looks like an issue in game data. I highly doubt I'll find time to implement this. Updated to patch 1.1.1.0 Hotfix 1, including most of FG content. Fixed an issue with search query being cleared when user changes sort order upon clicking on column header. 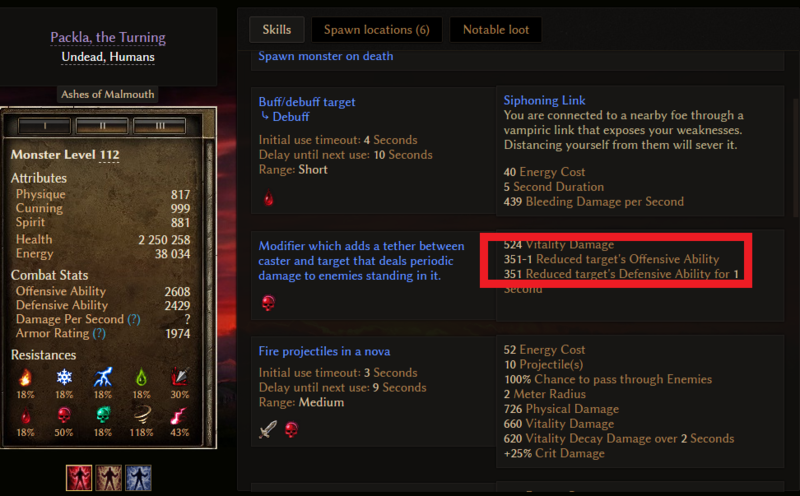 Fixed certain skills not having proper description. Removed "empty" on-death skills from the skill list. Page title is now prerendered on the server, this might help with SEO a bit. Fixed an issue with "Attacks per Second", which was always calculated based on player's data instead of the monster's one.